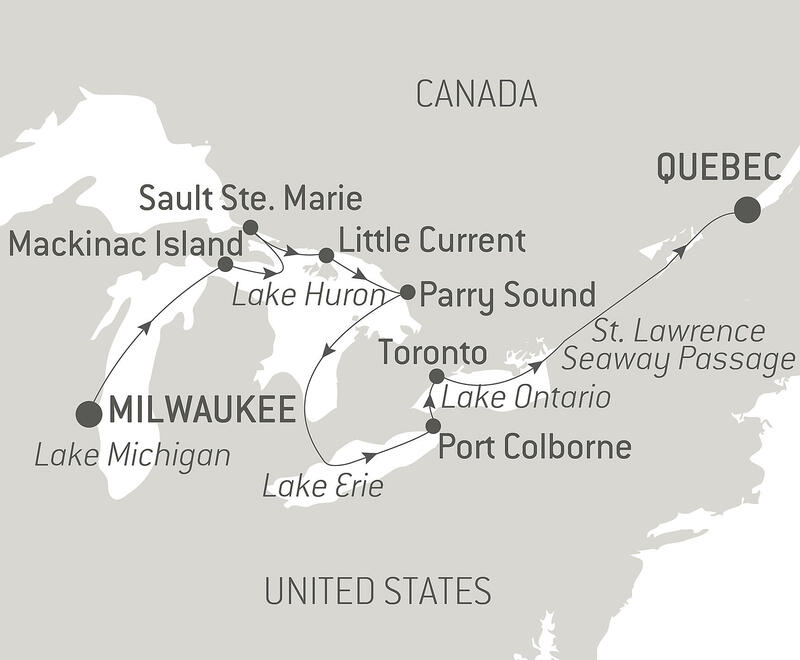 Set sail with PONANT aboard Le Champlain for an all-new 11-daycruise discovering the Great Lakes of North America, in the heart of a flamboyant nature full of the colours of the Indian summer. You will leave from Milwaukee, in the US state of Wisconsin, the beginning of your voyage following the footsteps of the first settlers, trappers and Native Americans, before a lovely sailing experience on LakeMichigan, a veritable inland sea. Lake Ontario crosses the Thousand Islands archipelago, home to summer houses and migratory seabirds. You will discover Toronto, your last port of call. Cosmopolitan and dynamic, Canada's largest city will charm you with its museums, parks and gardens. You will finally sail down the Saint Lawrence River to Quebec, your disembarkation port.